I’m always looking for dog-friendly places to stay when I’m planning my family vacations. 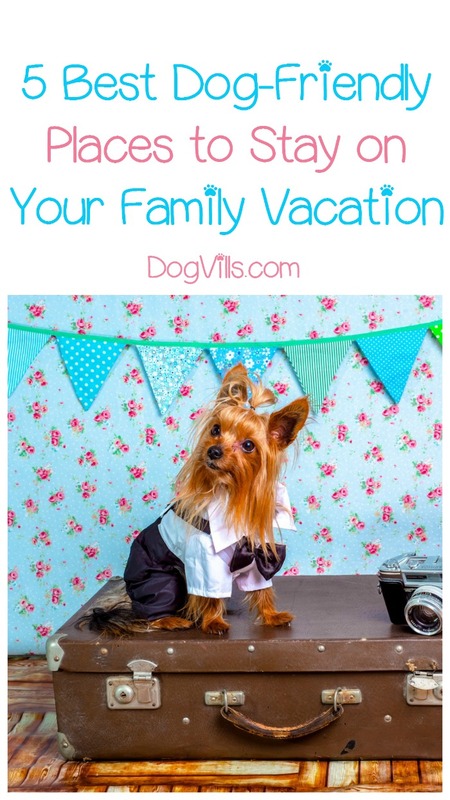 I don’t love the idea of leaving my dog behind, and besides, I want a vacation that includes the WHOLE family! Many years ago, a pet-friendly hotel meant that they’d accept your dog but would charge you a hefty “cleaning” fee for the privilege. Now, pet-friendly actually means just that! Tons of places not only allow your dog to stay with you but actually welcome them with the same enthusiasm as they do the rest of your family. Check out a few of our favorite dog-friendly places to stay! In the gorgeous Green Mountains in Essex, Vermont, this fabulous hotel offers guests spa services; a fitness center; a golf course; and so much more. And did I mention it’s got two different restaurants as well as a cooking academy? Foodies and doggies rejoice! You can learn more about it here. How wonderful to stay at a gorgeous hotel that welcomes your dog – with a goodie bag at check-in for Fido to boot! 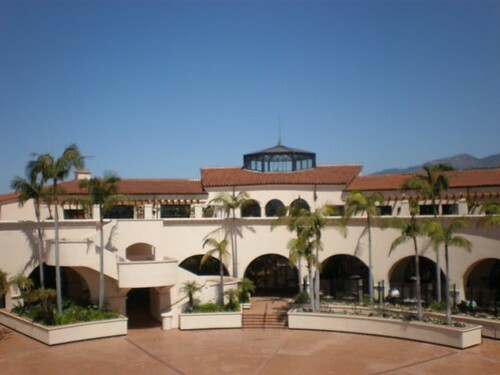 And since the hotel is in beautiful Santa Barbara California, there is no limit to the different family activities to do! Whether you want to go to the zoo, a museum or just relax on the gorgeous beach; this hotel has got it all for you and your pup! Have a look here. Nestled in the heart of the Muskoka Valley, this resort offers so much for you and your pup to do. From its lakeside and mountainside location, offering outdoor activities all year round, the Hidden Valley Resort is a great spot to bring your dog on a relaxing and nature loving getaway! Discover more here. Beautiful view to start the day! Located just five minutes from downtown Vancouver, the Sylvia hotel is an ideal spot to bring your dog. You and your doggy will love the location of the hotel, with it being right next to Stanley Park – voted the top urban park in the world by TripAdvisor in 2014! Stroll the paths, or head out to the beach for some good old-fashioned people watching! Learn more about it here. For an exclusive luxury vacation, look no further than Costa d’Este resort in gorgeous Vero Beach, Florida. Imagine relaxing in a beachfront private cabana with your pooch, listening to the waves break on shore. Sounds like heaven, right? Find out more about all the extravagant service available to you and Fido here. This list is just a small selection of the growing number of hotels and resorts across North America which are dog-friendly. What are some of your favorite dog-friendly places to stay while traveling?